So, what do you think about Dota 2 so far? Do you think IceFrog already success to bring back Dota 2 to its glorious age? Well, Dota 2 already hit almost 2 years now. There are a lot of change in Dota whether it’s the story line, the character appearances, and so many things. Nowadays, because there are a lot of change that IceFrog makes to this game, today we know that this game already completely separate from Warcraft world. Even there are a lot of things that still looks the same as Worldcraft, IceFrog trying his best to make this game separate from Warcraft name. Starts with the changing of several heroes appearance, the changing of several heroes names, and also the change of several heroes lore. Find out more about what is a change in Dota 2 on my article today about Dota 2 Heroes review. 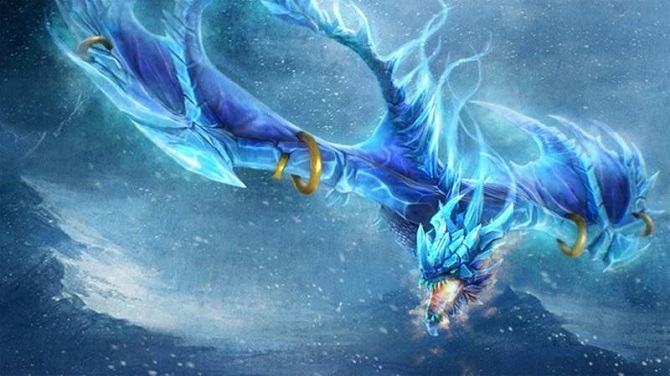 I will also review one of the best and coolest support in Dota 2, The Winter Wyvern. Check it out, dude. After knowing the story of Dota 2, now we will talk about the heroes in it. Even though there are so many changes in this game, there is one hero that not affected by the change that IceFrog give. 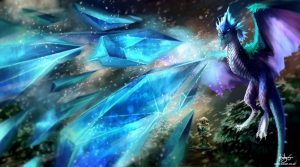 It’s Auroth the Winter Wyvern. Do you know? 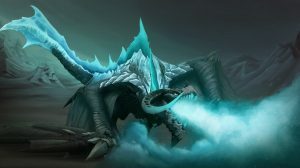 Since Dota 2 launched, Auroth the Winter Wyvern not getting any slight chance in Dota 2. Auroth is the rarest support that has been chosen. This is the rarest hero to picked in international competition. However, even though this hero is the rarest hero to pick, this doesn’t mean that this hero is not good to use. There are a few great and useful skills to use and combines with Dota 2 tricks in this hero. Those skills like Cold Embrace and Winter’s Curse is the most useful skills to use in the battlefield. Do you know that a lot of great skills on this hero? Like Winter’s Curse that will trap the enemies hero and taunt the other enemies friendly herpes to attack them. This dragon also has a skill Cold Embrace that will make every friendly unit that trapped inside there will regen some of their health points. However, his friend would be disabled from moving or doing anything until the spell effect is done. Well, to help the teammates, this hero doesn’t need a lot of items. This hero only needs a few items and a proper lineup. So, are you curious now? Check out my dota 2 tips! Who knows maybe my tips can help you gain your victory. Well, as a support hero, the arcane boot is a great item to support your team. Not only because pf this item is cheap and can give you some mana, it’s because this item can be advanced to guardian boots too. That’s why this item is so important. This item is optional, you can choose to buy it to increase your survivability or save your money for the other items. Great support is the support who not only can save their teammates but they also can save their self and Eul Scepter is a perfect item to be combined with his 2nd skill. This item is not a must but I consider to buy it for my survivability. Because Auroth is so fragile, we need a lot of survivability items to keep him alive. Well, I think my article today about Dota 2 heroes review is enough for today. I hope my article is useful for you and if you think my article is useful enough for you, please share my article today with the other Dota 2 player. See you soon in my next article, I hope you won’t get bored with me. See you soon and have a nice day guys.